The 20th summer camp of the China National BlueStar Group Co Ltd officially opened in Beijing yesterday. 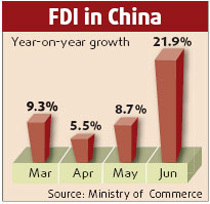 For the fist time in its two-decade history, the camp, originally set up to cater for the children of its Chinese employees, has welcomed the offspring of its workers in foreign countries - including France, the UK, and Australia. 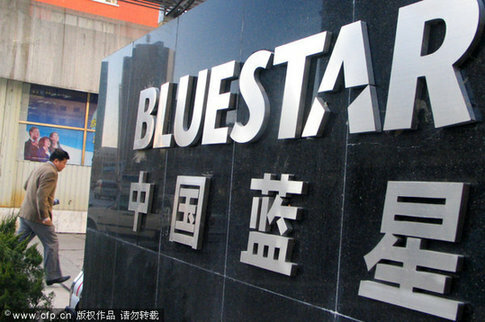 Ren Jianxin, president of China National Chemical Corporation (ChemChina), Blue Star's parent company, as well as chairman of BlueStar itself, was one of the founders of the BlueStar summer camp. Reflecting on the value and growth of the venture, he said: "In the camp, we now provide the children with an all-round education whilst also promoting their personal growth. We help the next generation learn how to live a collective life and to become youngsters full of knowledge, vision and with good personalities." "The efforts of the past 20 years have brought us unexpected achievements - chief of which has been the integrated communication and inter-generational transmission of our company culture. This is of great importance to the long-term development of BlueStar." This year's event includes eight specially conceived activities - cross-cultural communications, ancient architecture, Chinese language, prestigious universities, Olympic dreams, ethnic customs, food and culture, and museums. During the 20-day camp, participants will visit Siheyuan (quadrangle) and the National Stadium (the Bird's Nest), study the Chinese language and calligraphy, enjoy a Beijing Opera, learn traditional Chinese etiquette, find out how to make dumplings as well as having the opportunity to attend a series of lively parties. To enhance the next generation's awareness of environmental protection issues, BlueStar will launch a drawing competition highlighting environmental conservation. This will be open to all of the camp's attendees. The organizers hope that the children will learn more about Chinese culture, foreign culture, as well as BlueStar's own culture, throughout the summer camp experience.